A chilly weekend for the I500 race. Polar air sat across the Midwest for most of the weekend. Hopefully, everyone stayed warm for the races. Winds were also a factor this weekend picking up snow producing a low visibility in some areas. In other weather events, Montana received snow over the last week and has increased their snow depth. 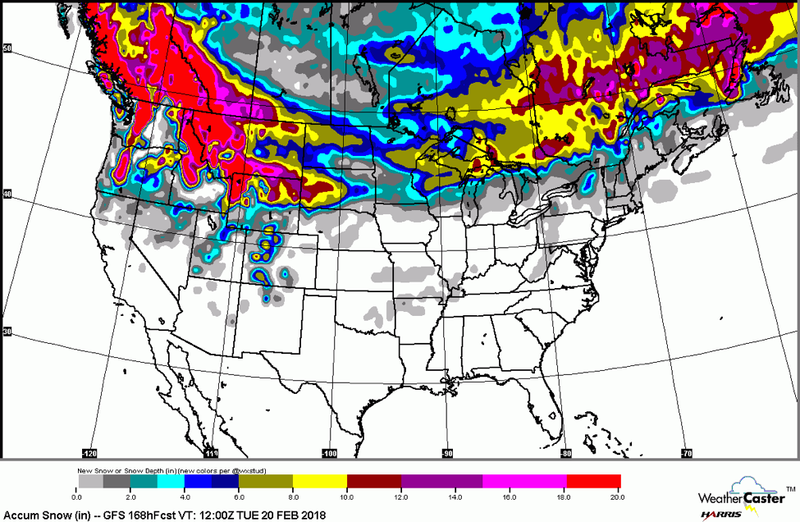 Iowa, Wisconsin-Illinois boarder and southern Michigan received just a few inches of snow with trough that came through last weekend with the cold temperatures. Overall the trails are looking good. 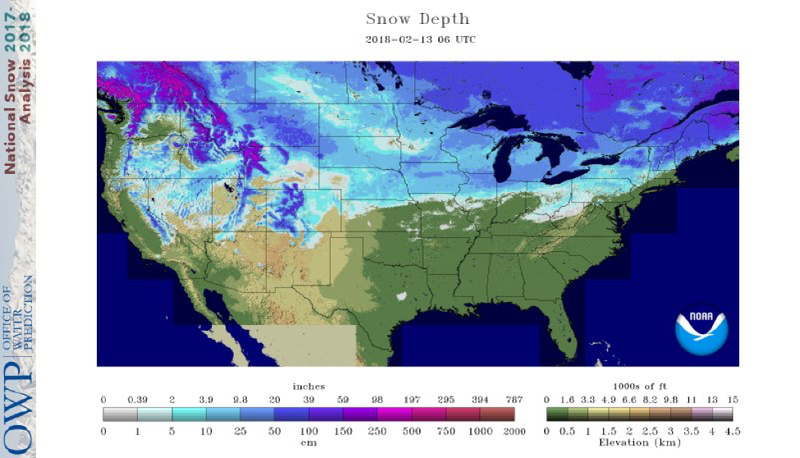 A light layer of snow in the Midwest helped a little, yet some spots are still pretty thin. The Northeast also looking good. The West received some heavy snow. Beware of avalanche areas as always and just your local trail conditions before going out. A slight warm up today will affect trails with light snow cover. 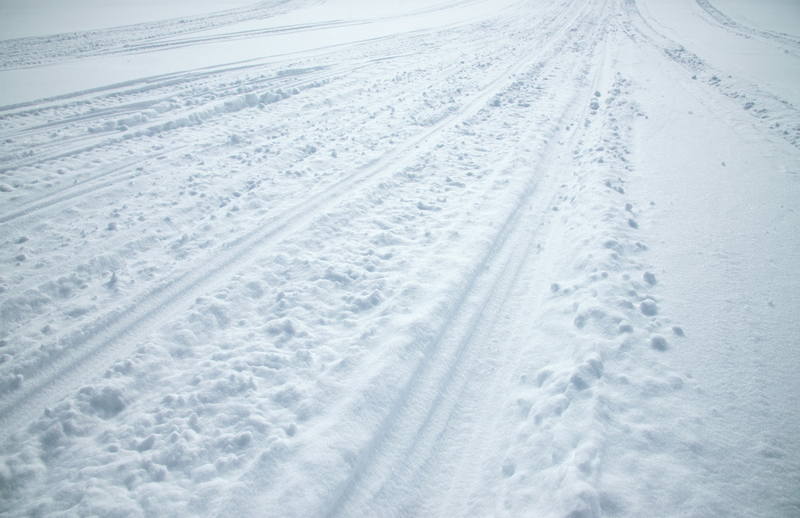 Other trails with a strong snow depth should be able to survive to this weekend. Warmer temperatures for today before cool air hits us again this weekend. A strong ridging creates the warm temperatures for today and tomorrow. By the Friday, winds will turn around and come from the north bring in cooler air again. 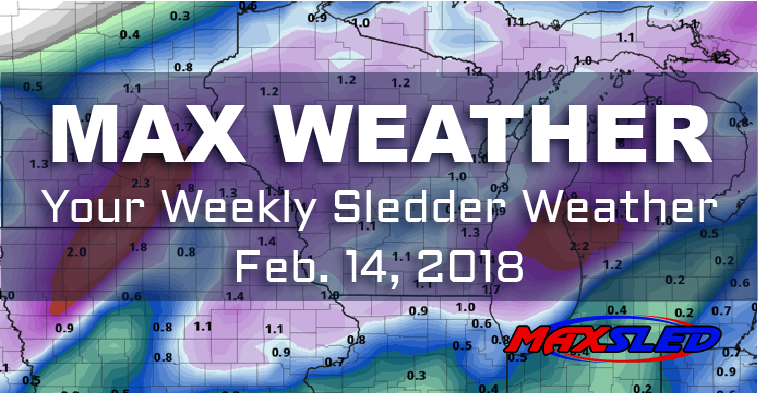 As the temperatures drop again into the weekend this Thursday and Friday, the Midwest might see some energy with snow. Then even cold air moves in. Polar air pushes in on Saturday and Sunday for the West. Then Midwest should see some effect of polar air on Sunday and Monday. The mixing of the polar air will produce winds and snow for the West and Midwest this weekend. The Northeast also will be affected by the warmer temperatures with cooler temperatures coming into the weekend. Then on Sunday and Monday temperatures will rise again. The temperatures fluctuations will create some energy for precipitation. While some of this precipitation may be a wintery mix, the northern side may see snow.